This is a book for people interested in cannabis law reform. It consists of three parts. The first is an examination of the steps necessary for founding, building and maintaining a cannabis law reform party, such as core values, membership, fundraising and media. The second is a discussion of the arguments for cannabis law reform and how to counter the arguments against it. The third looks at how to take your party into battle to fight against cannabis prohibition. Note: this is not a book about buying, selling, producing or consuming cannabis. It is only for those interested in changing the failed policy of cannabis prohibition. New Zealand readers can buy a paperback copy of the Cannabis Activist’s Handbook from TradeMe HERE. 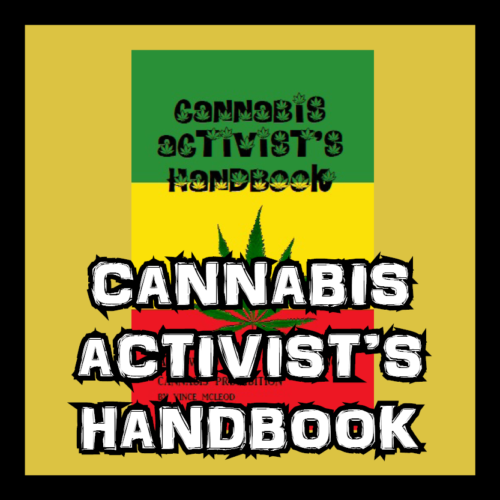 International readers can buy a paperback copy of the Cannabis Activist’s Handbook from Amazon HERE. New Zealand and International readers can buy a Kindle copy of the Cannabis Activist’s Handbook from Amazon HERE.